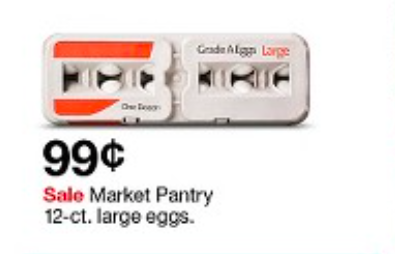 Target $0.24 for a dozen eggs! Today and tomorrow get a dozen eggs for $0.49! 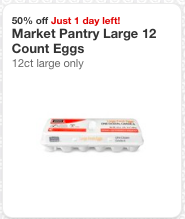 This week 12ct eggs are on sale for $0.99, plus today and tomorrow there is a 50% cartwheel offer! Plus there is a $0.25 Mobisave rebate too! Making them just $0.24 a dozen!